Xposed Framework was recently updated to version 2.6 which brings a refreshed UI and performance improvements. For those of you who have never tried it, I will try to explain what it does and how to set it up in few easy steps. 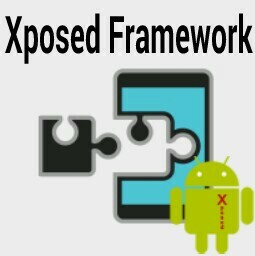 I know many people who have heard of Xposed Framework but don’t really know what it is. The name might sound intimidating but it’s actually a really simple way to modify the system or apps of your rooted Android device, running Android 4.0.3 or higher. Xposed is a framework created by rovo89 and Tungstwenty which requires root and enables users to modify the behavior of the system and apps of a custom or stock ROM. Instead of flashing a full rom, individual features can be added by installing different modules. For example, It can allow you to change your lockscreen, quicksettings or hardware key actions, add multi window mode or change your icons using a stock launcher. Xposed Framework works with most phones and roms but some modules or features might not work. The modules can be disabled or uninstalled easily so you can try it and remove it, if it doesn’t work for you. The Framework is installed using an installer app. Then, using the installer, modules can be downloaded and installed. It is suggested to backup your phone just in case something goes wrong but I never do. Yolo. Worst case, I’ll reflash. Having said that, try this at your own risk and backup if you don’t want to start over. 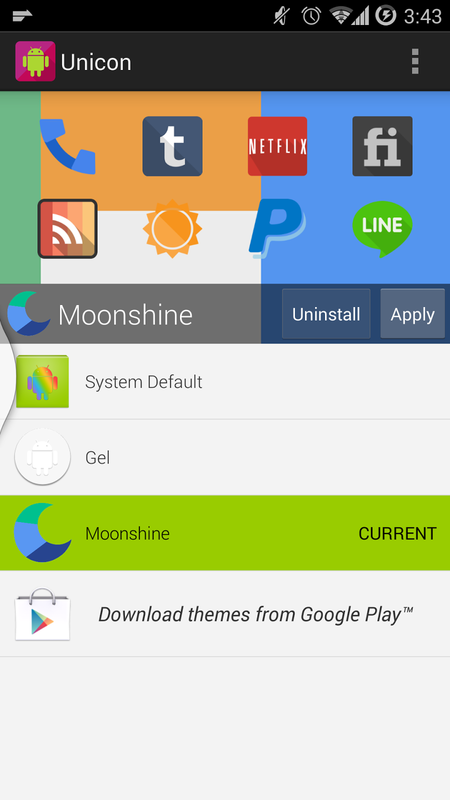 First, you will need to download the installer from here: http://dl.xposed.info/latest.apk then install the apk. Launch the Installer and, under the "Framework" section, click on "Install/Update”. You will be prompted to allow superuser root access and then you will need to reboot. Now you are ready for the second step - choosing modules. You can see all the available modules and their descriptions under the “Download” section. After downloading a module it needs to be activated in the “Modules” section by checking the box next to it. After activating a module, a reboot is needed again. A soft reboot can be done under the “Framework” section. In addition to these modules, some apps on the Play store work with Xposed Framework. I added some recommendations below. A great module to start with is Xposed Preference Injector. The module adds links to the preferences of the installed Xposed modules into the stock Settings app. XMultiWindow is a module which ports Omni’s split view to use with other roms. It allows two windows, one on the top and one of the bottom, which can be opened from a sidebar. 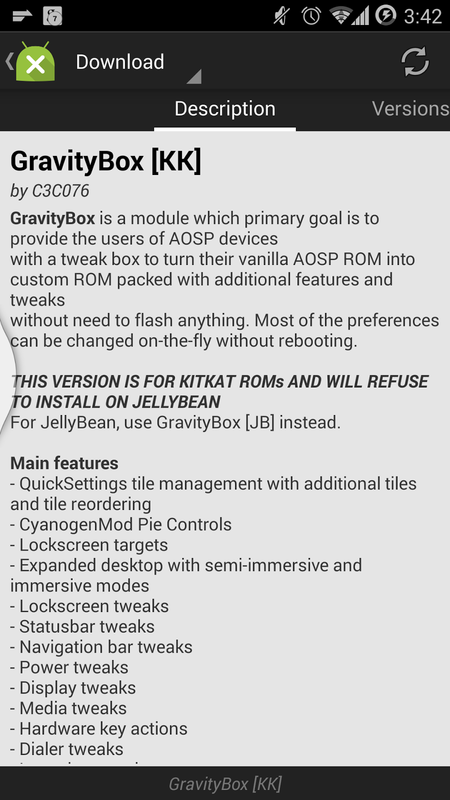 GravityBox adds many custom features and tweaks for AOSP rom users (Vanilla Android). It includes many tweaks from different roms in one package. You can pick and choose the customizations that you want. Stickers for Hangouts adds sticker support to Hangouts. 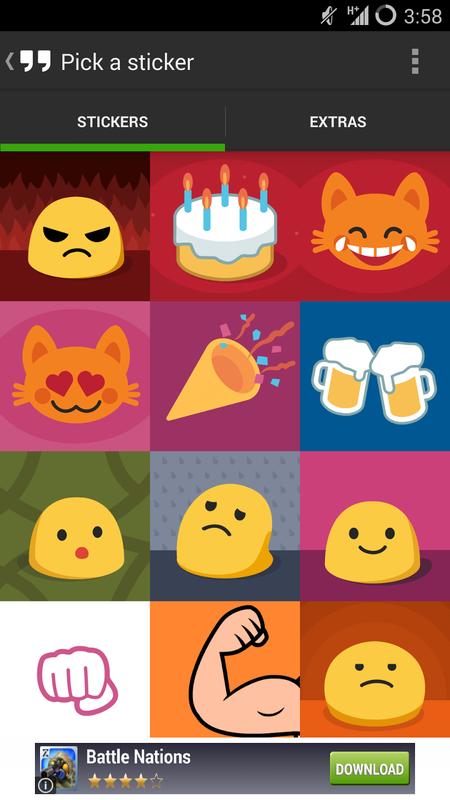 The stickers are small GIF images which can be attached to messages. 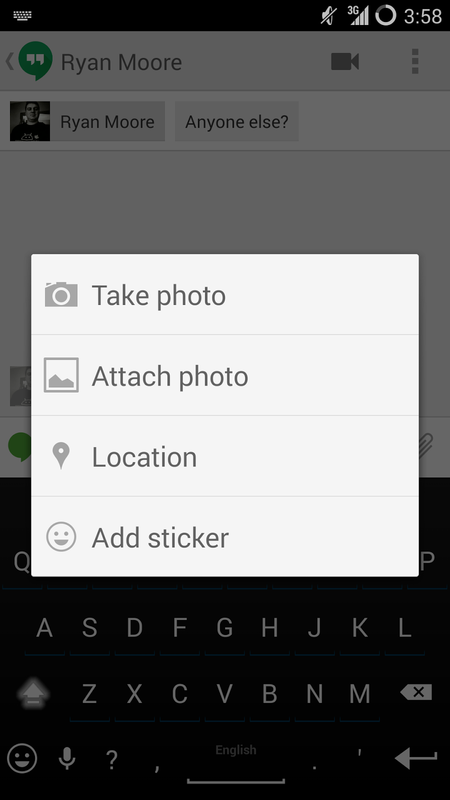 The module adds the sticker option to the “attach” menu in Hangouts. 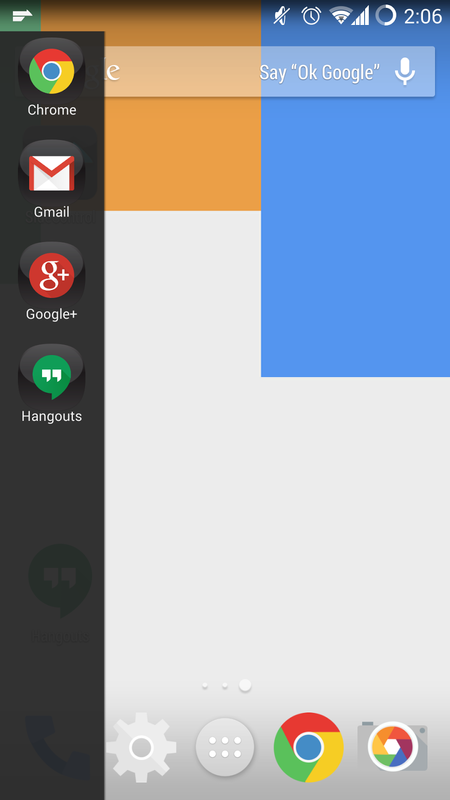 Unicon- Unicon allows you to use icon packs on your device. The icon theme is applied throughout the device and not just confined your launcher. It will work with any launcher, even stock launchers. Unicon is available from the Play Store and it is a paid app. 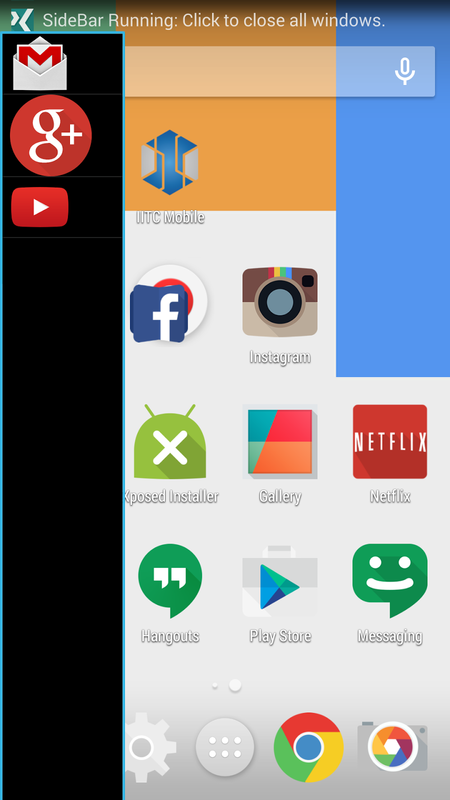 SIdeControl- SideCotrol is also available from the Play store and offers extra features if you have the Xposed Framework installed. It creates a sidebar which can show the Recent Apps or your Favorite apps. SideControl includes many other features as well, like gestures for different actions. It also works with other modules. 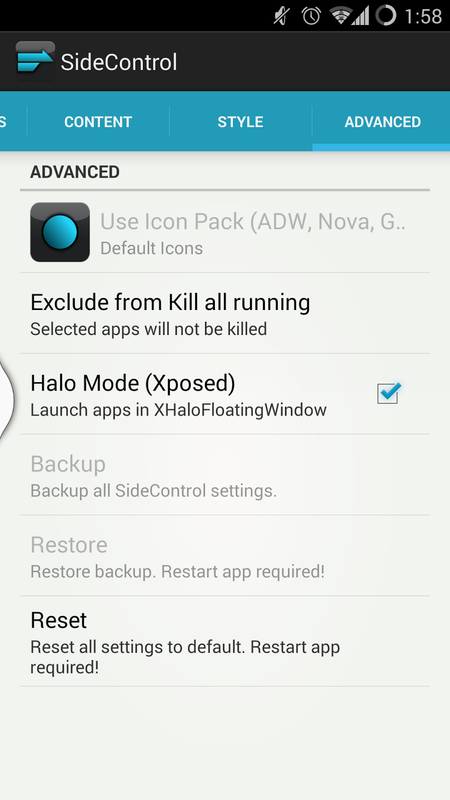 With XHaloFloatingWindow it can open apps in Halo Mode as a floating window. With the Pro paid version it can also offer the XMultiWindow’s two-window feature. These are just few examples, new modules become available often. 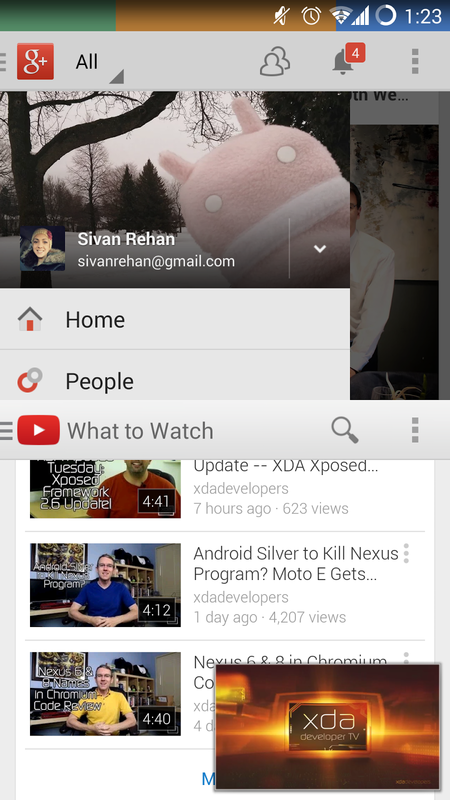 I recommend following xda-developers on Google Plus for the latest news.